It appears that turbulence at CAP Maxwell Headquarters once again has the sharks circling and jerking in the waters to feed each other accolades and positive press. Readers will recall that Don Rowland was released in August 2016 from the paid position of Civil Air Patrol’s Chief Operating Officer. After briefly serving as interim COO, John Salvador was awarded the position by the Board of Governors in December 2016. Former CAP National Commander Amy Courter recently surfaced to give CAP BoG Chair Judith Ann Fedder the Women in Defense “Service to the Flag Award”. 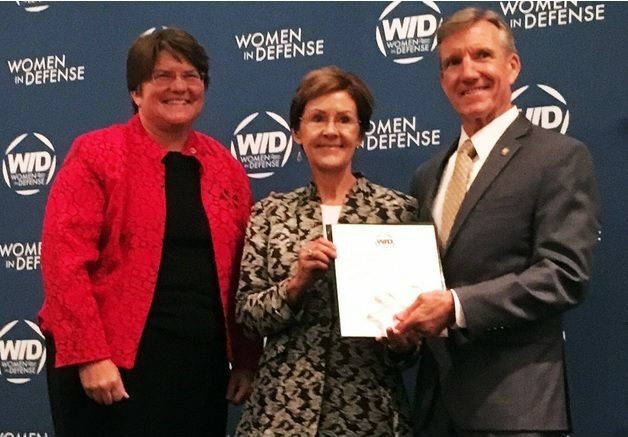 This highly coveted honour was presented on Wednesday September 27th 2017 at the Women in Defense National Conference held at the Mayflower Hotel in Washington, D.C. Courter is currently the national president of Women in Defense. 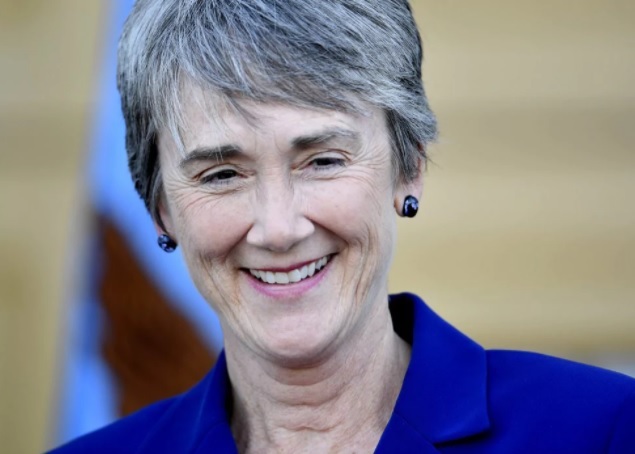 Air Force Secretary Heather Wilson delivered a keynote address during the conference. CAP trackers have been highlighting the mutual admiration circle and patterns in the work history of those actively seeking and approving paid positions within Civil Air Patrol. Judith A. Fedder grew up on Army bases before her parents put down roots in Manistee, Michigan. She became a 1980 distinguished graduate of the ROTC program at Michigan State University where she received a Bachelor of Science degree in Dietetics. She was a career maintainer in the Air Force, most recently serving as the Deputy Chief of Staff for Logistics, Installations and Mission Support. In May of 2015, Lt. Gen. Judith Fedder retired from the Air Force. Just after Jayson Altieri was made BoG Chairman in March 2015, Fedder became a member of the Civil Air Patrol Board of Governors in June 2015. She then went to work for Boeing in November 2015 as a Director of Global Sales & Marketing, Integrated Logistics. She and Boeing “parted ways” in June 2017 after just 1 year and 7 months. In February 2017, she replaced Jayson Altieri as BoG Chaiman who stepped back to the Vice Chairman role. Amy Courter was born in Flint, Michigan and graduated from Kalamazoo College in 1983 with a bachelor’s degree in psychology and education. She served as commander of Michigan Wing Civil Air Patrol from 1999 to 2002. She was selected to be Maj Gen Antonio Pineda’s National Vice Commander in July of 2005. In 2007, Antonio Pineda was removed from command and stripped of his rank for misconduct reported by Lt. Col. Raymond Hayden that was later verified in an IG investigation. Courter became Acting National Commander in the fallout and was later elected to a regular three-year term as National Commander in 2008. Amy S. Courter served as President of the Michigan Chapter of Women In Defense from October 2010 to September 2012. In February 2017, Courter was the WID National President while also working as the Chief Operating Officer of Dynamic Computer Corporation of Farmington Hills, MI. Courter is no longer with Dynamic Computer Corporation and has since moved on to innerTrain, where she is responsible for delivering the signature company experience. 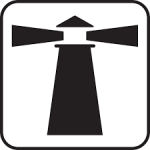 Per its vision statement, inerTRAIN is a team dedicated to the success of inerTRAIN and clients. Will AuxBeacon confirm and release this story or will it censor and bury it? 11 Comments on "Sharks Circle and Jerk in CAP Turbulence"
Well the cover up is the really bad thing. I am not going to worry about it until after Christmas. My commander said that we all need to stay mute on what is happening at national. I want to know what is going on at national. If something inappropriate or illegal occurred by one of our senior leader’s, we have a right to know. This kind of behavior is not to be tolerated, period. We have cadets in the program. And for those at national trying to keep this from the members, then you are part of the problem and should let us know or resign. Hey, TX187 San Antonio here. My commander can’t silence me. You are on to something when it comes to Civil Air Patrol people penetrating political offices around the country. Check out Susan “psycho” Pamerleau who was a USAF Major General and a Civil Air Patrol BOG Member from 2011 to 2012. She turned into a failed political tool Sheriff in Bexar County Texas in 2012. In the spring of 2016, the Bexar County Deputy Sheriff’s Association Union called for a vote of no confidence in Pamerleau. She then faced inquiries about four suicides in four weeks in the Bexar County Jail from June 28 to July 22. Twelve of her deputies were arrested. In the November 2016 general election, she lost to Democrat Javier Salazar, a San Antonio police officer who had never previously sought elected office. Something stinks about Civil Air Patrol people and their coverups and this is probably a puzzle piece you are looking for. I sent you a longer list of links via contact and hope you get these filthy bastards. Susan Pamerleau is a liar. She lied to the people who she is supposed to serve. She is covering-up for 2 of her deputies that committed murder, on video. If you are a Bexar County resident, how can you possibly have any confidence in a police department which executes a man who is surrendering with his hands in the air? What if that were your son, brother or husband? NOTF was nominated by WHOM to the Pulitzer board? I want to know. It is fairly trivial to vet Amy Courter away from any position, paid or not, in Civil Air Patrol by privately asking her the following questions. This is how the BoG and USAF can avoid embarrassment in yet another ill-considered decision such as with the previous Chief Operating Officer. This guidance should not be construed as an endorsement of any of the alternative candidates, most of whom are compromised in ways yet to be revealed. Objective new blood is sorely needed to fix the problems. Yep. Another way to vet Amy Courter is to look at current and past versions of her resume, which many CAP members judge to have been inflated fluff. If you look at the companies she has had on her resume they appear, in my opinion, to be shells designed to move people into positions they are seeking. Why is AuxBeacon NOT releasing the material that you are sure to have on Paul Gloyd, CAP’s current Assistant Chief Operating Officer? I hate to say it, but it looks here like yet another person shuttled down the path of trading and compromising reputation to be used-up by others. There have been quite a few schemes in CAP in which higher ranking members have attempted to profit, either in money or in press, from the ignorance of the members and donors they were exploiting. I was always leery of Wreaths Across America for this reason and then I came across the assessment of Sandra Miniutti, CFO of Charity Navigator, a watchdog group. Her words were measured, but critical. “The Form 990 clearly shows that out of total expenses of roughly $6.6 million nearly $4.9 million dollars went to the Worcester Wreath Company and that two employees of the company are on the board of the nonprofit. In other words, 74 percent of every dollar the charity spent went to the for-profit firm. We find the practice of a charity paying such a substantial amount of money to a business owned by several of that charity’s board members atypical as compared to how other charities operate. Well, that sounds just like something CAP pigs would support. Tobin Slaven and the commanders and the cadets they had bullied were always attempting to blow smoke up my kilt. But we were able to prove it, and Pineda “got gone.” In 2011, NOTF was nominated for a Pulitzer Prize in Investigative Reporting for breaking this story. Honesty, integrity & dedication to professionalism are dying traits across America & individuals who demonstrate these qualities are punished, especially those who work within the government sector.